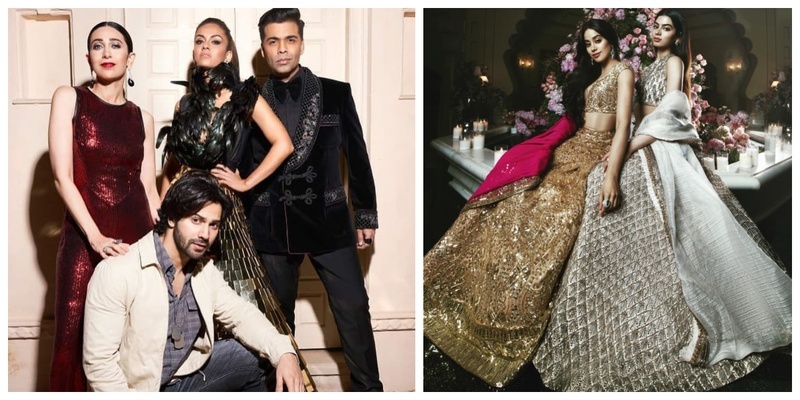 Who wore what at Isha Ambani's Sangeet and everything else you need to know about the $100 million Ambani Wedding! If everything EXTRA was a brand, I am sure Ambanis would be the brand ambassadors of it. Or heck they would actually own it! The pre-wedding festivities of their eklauti beti definitely proves this. And if you thought you have seen everything, in SRK’s words, “picture abhi baaki hai mere dost”! India is preparing for what could be one of the world’s most expensive weddings ever - something that might put the fictional wedding in “ Crazy Rich Asians” to shame too! Tomorrow i.e., on Dec. 12, Asia’s richest man and oil-and-telecom tycoon Mukesh Ambani’s daughter and heiress of the Ambani empire is going to tie the knot to billionaire Ajay Piramal’s son - Anand Piramal! And the week-long extravaganza (including the pre-wedding festivities) is estimated to cost about $100 million according to a lot of reports - which is just a 10 Mil short to the royal wedding! To put the figure in perspective - Prince Charles and Princess Diana’s wedding 37 years ago reportedly cost $110 million in today’s dollars. After the festivities, the newlyweds are rumoured to move in to their $64-million diamond-themed mansion at the Gulita building in Mumbai! Well well, here’s crossing my fingers and awaiting what the big-fat Ambani-Piramal wedding has in store!